Vocal warm-ups cool down exercises and good singing techniques are as important for a singer to do as performing itself. Choosing the appropriate vocalizations is as much a technique as it is a habit which you should develop if you want to maintain the quality of your voice. In cases of overusing, misusing or other factors that may result in vocal fatigue, these singing exercises can be therapeutic. According to the Stockton, California’s University of the Pacific’s Conservatory of Music Associate Professor Daniel Ebbers, there are many thoughts on warm up exercises as there are singers. According to Ebbers, a voice instructor who also happens to be a classically-trained singer, scales are essential for teaching the singer flexibility and breath management and breath control. Every voice instructor knows that good singing boils down to breathing, and it isn’t only about being able to hold high notes longer, it is also about how a singer breathes. Breathing apparently affects the vocal range, tone, and power of the singer’s voice. The way you take in air and the way that air is expelled will determine how a singer performs. Setting up your body to an advantageous mechanical position when you are singing ensures that you aren’t stressing your throat, lungs, and diaphragm. Your body will compensate if your voice will not ride on top of your breath because you are disconnected to its breath supply. This compensation will use a body part that requires tension to function, which is unnecessary and unhealthy. Singing exercises help to strengthen the lungs and build stamina at the same to enable the singer to perform for longer without bogged down by exhaustion. You may be surprised to know that sleep affects your voice quality because of the mucus that builds up inside of your mouth and nasal cavity while you sleep. This can reduce the quality of your vocal cords considerably. Warm-up exercises can help lubricate the throat and hydrate that area with moisture. These exercises will also help you in your pronunciation and projection as well. Remember that it wouldn’t matter how good a voice is if proper care and maintenance of it is not done regularly. If your vocal cords are injured, it may be difficult and painful for you to do some serious singing, if at all. A vocal exercise has to begin gently, with as little pressure as possible on your muscles to be effective. Lip trills and humming are two ways to release tension in both neck and throat to enable just the right amount of air to pass through your vocal cords. As your warm-up progresses, more air is introduced to produce the sounds closer to the way normal singing of phrases and words is done. You use all of your body’s muscles when you sing. Stretching helps activate large groups of those muscles which hold your posture and balance and prepare the smaller groups for breathing as well as facial articulation. Stretching the back, abdomen, neck, and shoulders are important to prevent tension that can influence the sound of your voice. When your muscles are tensed, there is constriction of your breathing muscles and/or your larynx which obviously will affect your singing. These exercises can help you smooth out the breaks you may encounter in a song, strengthen your vocal range, and help you develop your style later on when you take further singing classes at the intermediate or advanced level. You stretch a lot of muscles when preparing how to breathe during singing and these muscles involve respiration. That’s why these warm up exercises are important; they teach you how to exhale correctly during those long pauses when singing. Taking a deep but quick breath and sustaining exhalation over several bars of music is one way of strengthening your respiratory muscles. Good vocal warm ups should have exercises that involve an inhale-exhale count of four and eight, respectively. You can slowly transition until you are able to inhale for a single count and exhale for as long as you possibly can. Engaging your intercostals muscles – several groups of which run between your ribs and form and move your chest wall – will require puffing air and panting. Vocal exercises should be an integral part of a singer’s routine because it prepares your facial articulation. This involves structural places of articulation, muscles, and tissues. Simply put, this kind of articulation is the effect of the tip of your tongue, teeth, and lips. Beginners in singing who are taking lessons will often use their jaws for articulation, creating unnecessary tension in the tongue and facial muscles. You can tell if a warm up exercise is good if it relaxes your jaw while it activates your tongue and lips to stretch their respective muscles in preparation for articulation. Tongue twisters as well as singing “me, may, mah, moh, moo” as one note and moving up an octave a whole step one at a time; actors also do this exercise as seen in films. Warm up exercises should include those that are capable of directing sound toward the soft and hard surfaces of your oral cavity for this thing called “resonance” or, as it is sometimes called, “placement.” This is a pressure-like feeling or buzzing felt in the neck, chest or other areas in your skull. Placed in any of these places, you can influence the quality of the sound you make. If your vocal quality is strong, for instance, you will feel it in your chest; if it is of the airy, wooly quality, you will feel this buzzing at the back of your throat right above that arch where the uvula hangs from your soft palette. You can also feel resonance under at your nose’s root or in that area parallel to your cheeks. Resonators are responsible for that pressure-like feeling and, as mentioned, are your oral cavity’s soft and hard surfaces. Resonators effect the waves that sound produces via your vocal folds during phonation. You can control the soft palate, which has a soft surface, but not your hard palate. In fact, your soft palate can be “trained” to change a sound’s timbre. The best vocal exercises for singing should include those that incorporate an array of sound effects such as nasal sounds, wails, and whoops. Lifting your soft palate can also create a richer timbre when you sing such as when you simulate a shocked, sudden gasp while maintaining openness at the back of the mouth. Additionally, changing your pitch will stretch your vocal muscles. A good singing exercise has the ability to move you from your spoken register to your singing register. This ability requires a plethora of exercises which may also help provide you vocal training. Often referred to as “vocalizes,” these include not only breath control but diction, balance, and blending. Simply put, a vocalize is an exercise sans the song’s words sung on one or several vowel sounds. If you are looking for online singing lessons, make sure you sign up with a coach who teaches good vocal warm-ups. 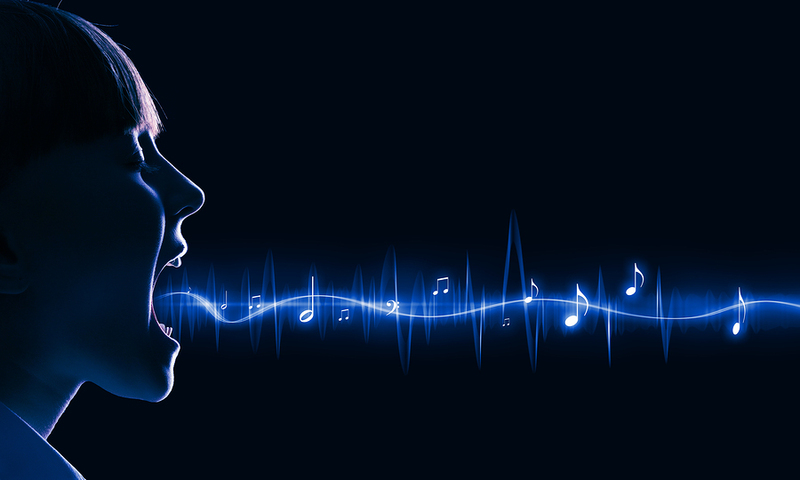 The particular material to be performed must be prepared using several vocal exercises which could be in the specific key or music to be performed. You can also break down difficult phrases of your repertoire and use these as your warm ups. Always remember that a great singing performance has its start with an excellent warm up. It is really all about relaxing the muscles which will be required to work numerous mechanisms of your body. It also means preparing body and mind to breathe correctly to help enhance your singing. With warm up exercises, you are likely to encounter problems with how you sing, particularly the high notes. Singing higher notes in your vocal range without the necessary preparation will tighten up your muscles on instinct and force out these higher notes which are the exact opposite of what should happen. Waking up your tongue, diaphragm, and jaw and neck muscles will get you breathing in rhythms and put in place sufficient air supply for that breathing. If you are frequently exposed to extremely dry or extra cold air from air conditioners or dehumidifiers, steam before and after each performance. Additionally, steam each morning and every night religiously to keep sinus membranes hydrated with moisture. Your sinus moisturizes the air which you breathe before it makes its way down to the lungs. Exposure to chill and drafts further weaken a throat that is already tired and vulnerable to infections. Wear scarves: silk during summer for protection against the effects of air conditioning and cotton or soft acrylic for winter. Wear scarves even indoors. Have a sweat-shirt on hand for unexpected rainy nights, preferably with hoods. Wear turtlenecks for all seasons (the sleeveless kind for summer). Scarves and (hooded) sweaters work to protect very tender muscles in your neck and throat against extreme heat or cold and dampness. Remember to avoid the drafts from open windows at night when you sleep, especially if you are prone to night sweating. Avoid very cold drinks even when you aren’t performing and drink plenty of lukewarm water. Yes, we know how difficult it is to remain calm and avoid stress with all the pressure that comes with singing. Remember, though, that you can perform better by reducing your vocal fatigue through half an hour of relaxation. Try yoga or meditation before you sing. Take herbal tea with just a dash of honey instead of coffee which may cause jitters and shortness of breath. Excessive consumption of any kind of alcohol will affect your sense of hearing and throw your sense of rhythm and pitch timing off. Never drink before a performance. Excessive alcohol in your system will dehydrate you and dry your throat and vocal cords. Additionally, excessive alcohol will make you slur and mumble the lyrics of your song. Take a couple of days to give your voice complete rest. Like your body’s other parts, your vocal cords need a respite from hard work, especially if you sing nightly or even fortnightly. Vocal damage starts off small like a sore throat but when it becomes a chronic condition, it is more than likely to develop into a more serious condition such as laryngitis which can cause temporary complete voice loss. Smoking dehydrates your throat and vocal cords and changes your vocal tone dramatically. The tobacco in cigarettes will cause the loss in your vocal range, voice flexibility, pitch and breathing controls, and vocal power. For singers who smoke, avoiding or quitting smoke is easier said than done. If you fall into this category, try your best to quit. If, for whatever reason, you are unable to, use a vaporizer. Whether you use a cool or warm mist, a vaporizer can help clear out your sinus or hydrate your mucous membranes in between smoking but not between breaks from sets. And try to avoid being around people who smoke, whether you smoke or not if you are doing warm up exercises or performing. Secondhand smoke that you inhale is especially damaging since your lungs aren’t used to it. Use clapping, ringing a small bell, and other non-verbal noises to call the attention of people. Avoid yelling when talking to people. Sip water frequently to moisturize your vocal cords and clear the mucus from your sinus. Don’t leave a sore throat or voice hoarseness unattended and seek immediate medical attention if you experience either for more than two weeks.